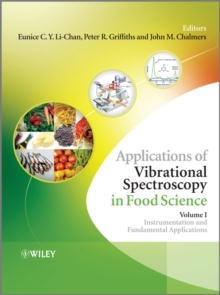 Bringing several disparate aspects of food science and analysis together in one place, Applications of Vibrational Spectroscopy to Food Science provides a comprehensive, state-of the-art text presenting the fundamentals of the methodology, as well as underlying current areas of research in food science analysis. All of the major spectroscopic techniques are also covered - showing how each one can be used beneficially and in a complementary approach for certain applications. Case studies illustrate the many applications in vibrational spectroscopy to the analysis of foodstuffs.